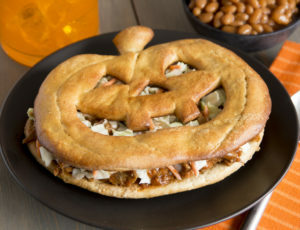 A fun idea for your Halloween get togethers! 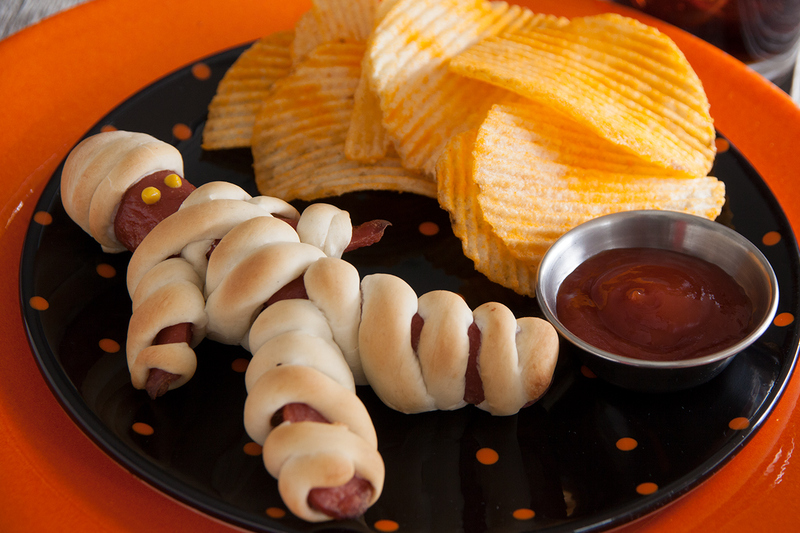 Cut arms and legs on hot dog. Be sure to leave about 1 1/2 inches for head. Place mummy on a sprayed baking sheet and bake at 375 degrees F 10-15 minutes or until dough is golden brown.